Few people remember that Rizal Park was once named Luneta, the default go-to place for families, friends, and of course, lovers. It’s also a place where you don’t have to think how much money you’ve got as long as you have company. Luneta being a popular public park and highly accessible to all, was a watering hole for people from all walks of life. And when there are people gathering, strolling around the park, will food be far away? Home to snack kiosks offering the usual fare of hotdogs and hamburgers, spaghetti, and soft drinks, Luneta is also a place for more than a handful of ambulant vendors selling cotton candy, peanuts, popcorn and… ice cream. These flavors are available in 140 cc, 500 cc, 1 liter and 2.5 liters. 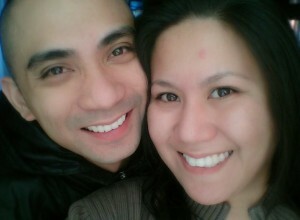 The married power tandem Dennis Rogacion and Rhea Topacio. 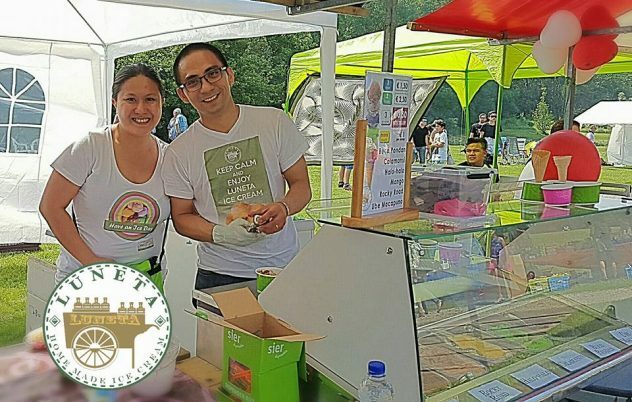 But enough of the ice cream and let’s go to the geniuses behind Luneta Ice Cream: the husband-and-wife tandem of Rhea Topacio and Dennis Rogacion. The author had the opportunity to touch base with Rhea and learned gallons of info worth sharing to you who are wondering who’s behind Luneta Ice Cream. FFA: How long have you been in the business? Rhea: With the ice cream business, we officially started February 14, 2015, after a couple of months of studying our own recipe. Our company, Dea Enterprise, started with chocolates (deachocolates.com) five years ago then ventured on designer cupcakes (taartini.nl). FFA: How did you start the business? Rhea: It was an accidental effort. 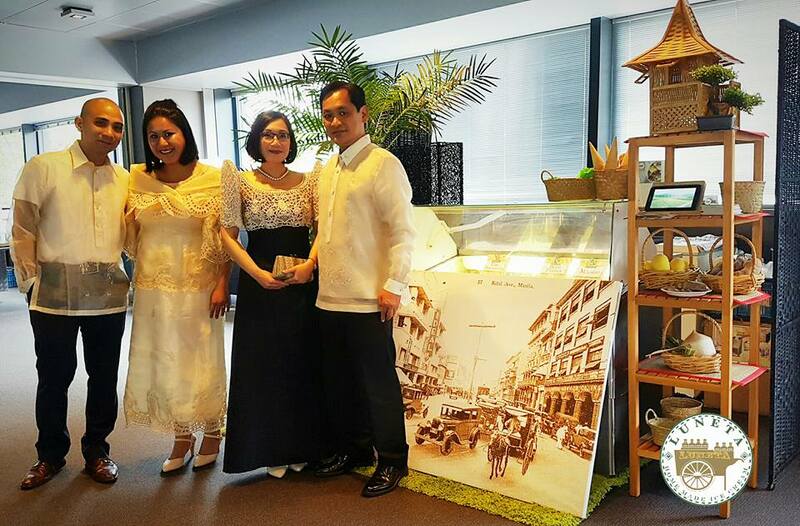 We just wanted to export ice cream machines supposedly to the Philippines, but after trying out the machine, we decided to make ice creams here (The Netherlands) with Filipino flavors instead. FFA: If you’re not in this business, what might have you been doing instead? Rhea: Most probably, my husband will continue working and I will continue with my freelance jobs (balikbayan box agent, advertising manager (thefilipinoexpatmagazine), graphic designer, marketing) while pushing our cupcakes and chocolates business, and making new products to offer. We love making new products, our creativity and passion are utilized. FFA: Why didn’t you pursue that other possibility? Rhea: Getting a job here currently is quite difficult, taking into consideration the status of the economy. My husband lost his job recently and so have other people in the work force. The competition to get a job is quite high. We have our own company that we can maximize to earn enough for our monthly household expenses, so we might as well try pursuing it. We have been present already for quite some time, so we thought maybe it is high time to change gears to a manageable capacity. Our idea gained more push from the fact that my husband has been here in The Netherlands for more than two decades, and I’ve been here for five years. There are certain Filipino foods that we miss that are not available here. 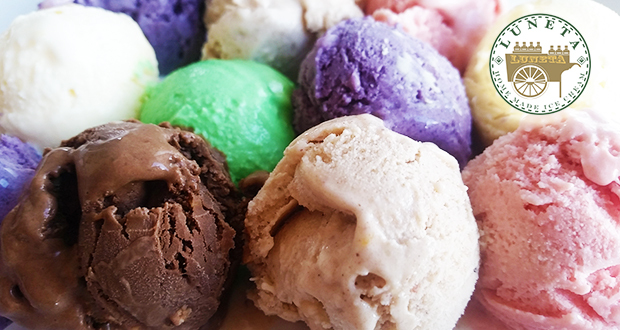 Filipino ice cream is one of the most hard-to-find foods here. We know that our fellow Filipinos here do miss it, too. So instead of importing it which would entail more cost for them, we decided to make it ourselves. FFA: Do you serve your ice cream at home, to family and friends? What do they say? Rhea: Of course we do. Our immediate families and close friends are our product testers and, yes, they like them very much. They have their own favorites. They are our support group in selling, events, and promotion, as well. The name (Luneta) was the idea of our friend Walter Labajo, and the logo was designed by another friend from Singapore, Allan Osido. I’d say, Luneta Ice Cream is a product of love and support by our families and friends all over the world. FFA: What’s your special ice cream? Rhea: Our best seller is ube macapuno and buco pandan. For non-Filipinos, they love halo-halo and Philippine mango. Chocolate lovers love our rocky road, of course. Recent favorite is the pink guava. But we take pride that our ice creams are all special. We made them ourselves from our own tiny kitchen. FFA: What’s your favorite local ice cream? How about foreign ice cream? Rhea: Personally, the old Selecta super chocolate. After that, dirty ice cream. No favorite foreign ice cream. My husband, on the other hand, loves Ben and Jerry’s New York Super Fudge. FFA: Any plans for further expanding? Rhea: Yes, of course, slowly but surely. We are focusing now in saturating The Netherlands market. It’s a matter of supply and demand balance. FFA: Where do you get your ice cream or dessert fix? What’s your recommended place for a good dessert place? Rhea: Well, we do make a lot of sweets, and a lot of our friends make a lot of pastries as well, so having a favorite place to eat dessert is not on our list. FFA: Thus far, what’s the most valuable lesson you can impart to our readers? Rhea: Love and passion for what you do. Maintain, and eventually develop, your unique selling proposition. Have a realizable vision. Empathize with your customers—bring them happiness, not just a product. Plan with a balanced, idealistic but realistic mind. Think outside the box. Deliver beyond what is expected. Life lessons talaga ito, ever since. Artificial sweeteners or white sugar? White. If you are an ice cream, what flavor are you? Why? Luneta Ice Cream Rocky Road. Real chocolate, not powder. With lots of adventure while having it. That’s it, folks! 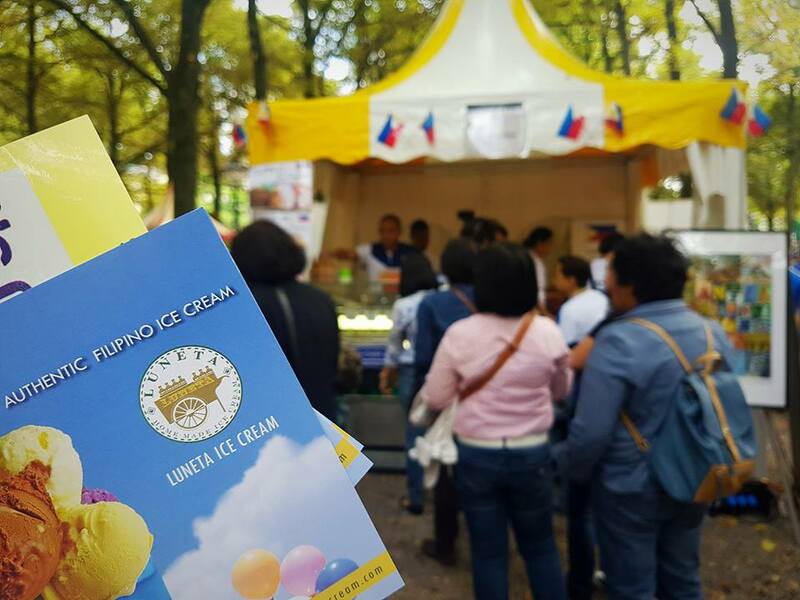 We here at Food Finds Asia had a fun time with Luneta Ice Cream’s Rhea Topacio-Rogacion. Now, if we can only get that ice cream here in the Philippines!